Do you know a guy who is massively more successful than you in some area of life? There’s a GIGANTIC gap between you and him and you just can’t figure out why. He’s not smarter. He’s not a harder worker. He doesn’t have a better personality. He’s certainly not as attractive as you. Maybe he has a much better body. Maybe he has an awesome relationship that you can’t seem to have. Maybe he’s really successful in business and makes a lot of money and you struggle. Maybe he seems to “have it all” while you’re just pretty good at a couple of things. Let’s be clear: You’re a person who gives credit where credit is due. You’re not jealous. You’re certainly no “hater.” You’re just baffled by how and why he’s been able to accomplish so much more than you. You know “that guy” I’m talking about, don’t you? I’ve been OBSESSED with “that guy” almost my entire life. It started way back when I was a little boy playing sports. I had more physical gifts than he did. I worked harder too. He just had that special “something” that I didn’t. Why? I’d desperately try to figure what he knew that I didn’t. Way back then, I couldn’t track it back to his superior mindset. Everything in my life that I’ve worked hard to become better at, I’ve tried to figure out why “that guy” was more successful than me. 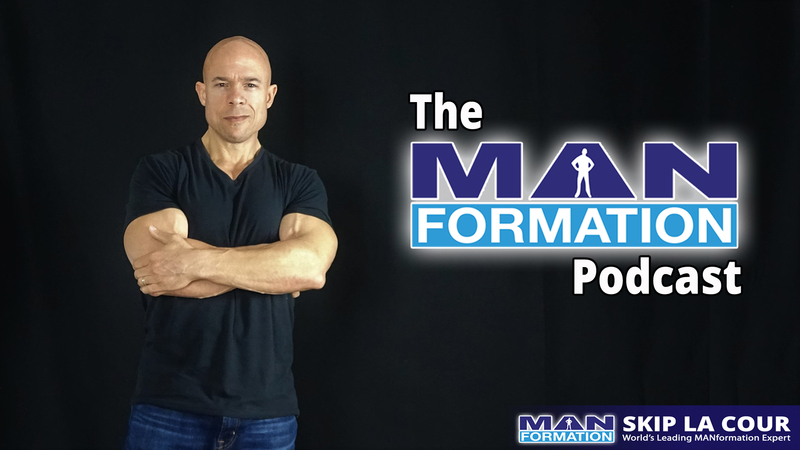 I’ve turned this lifelong obsession into a career in personal development that helps men just like you and me get what we really want in life. That’s what MANformation is all about. Before you get too frustrated; Before you give up; Before you start thinking there’s something wrong with you; Before you do start becoming a grisly old, super-negative hater; Before you start convincing yourself that he’s a cheater, liar, phony, man who lacks integrity and isn’t nearly as successful or happy as he appears to be (like so many men do on the internet); listen to what I have to share during this podcast. It could be just what you need to start “cracking the code” to become as successful and happy as you want to be. During this podcast, I share with you what I’ve learned. I share the distinctions that have helped me and my one-on-on-coaching clients around the world succeed at higher levels. This is one podcast you don’t want to miss.